US translation company versus an European one, which is better? / business / US translation company or an European one, which is better? US translation company or an European one, which is better? As the business becomes more globalized, translation is important for the development of businesses. Translating is not just converting the original message in the target language using the same words, but rather ensuring that the translated message sounds natural and smooth-flowing to the target reader. Now the challenge for businesses is what to choose between an US translation company and an European one in order to get the best translation services for business that suits their requirements fully? What should we take into account when choosing a translating service? A translation company must have a team of skilled and professional translators who are specialists in their different fields and who are directed by an expert project manager. A translator who is not sufficiently specialized or who works with more common texts may commit errors. This way, all translation requests can be dealt with successfully and the suitable style can be assured. This step is important in order to avoid errors in the translation process. For this reason, all the translated work must be checked and revised by a second translator and by a proofreader, promising the utmost quality and allowing the translation to be delivered error-free. Complete supervision and processing by the translation company during the process such as translation, editing and revision. This way, the client doesn’t have to be concerned about the management of the translation project. Though, opinions and suggestions are always received from the client. This is where you can check the knowledge of the company. The company should be a experienced translation provider, expert in processing translation requests and capable to deliver all translation needs in a short period of time without any additional rush rates, while guaranteeing the quality of the translations it delivers. The translation company must have the aptitude to work with documents of all sizes, despite of the length and provide an efficient translation service, with respect to the terms and standards of quality. 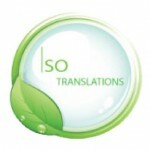 The translation company must have quality management tools in order to deliver the best service. Translation tools must also be compatible with different formats for the all sorts of document translation. Documents to be translated must be sent using a secure system, for that reason delivery systems must have this functionality and assure protected delivery. Appropriate customer service means a fast response and good customer service, either by email or by phone. Communication with clients is important and clients will also have their own project manager who is available at all times to give information on the working status of their translations. Translation demands are different for different clients depending on their needs. For this reason, an US translation company would asses each project and its requirements in order to offer a fully customized translation services. The company must have a team of qualified translators, who are skilled and capable in different fields. The skill to cater for all translation needs, regardless of the type of translation, from medical texts to academic documents, is important in order to provide a quality translation service. 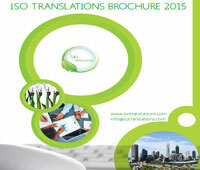 It is always advisable to choose a translation service that applies these quality standards. If you need more on how to choose the best US translation company then feel free to get in touch with us.